1. Baths and showers take place the night before: That's one less thing we have to do in the morning. 2. Set the alarm clock for 10 minutes ahead of schedule: That way, even if you hit snooze, you'll still be on time! 3. Divide and conquer: If more than one parent is home in the morning decide ahead of time who will take care of what, so that you aren't rushing around in each other's way trying to get stuff done. If you have more than one kiddo you might divide up who gets each kid ready. 4. Have everything ready to go the night before: This includes clothes, shoes, bags, and even breakfast. I set everything out including getting breakfast all together in the fridge. Our focus in the morning is on a quick, nutritional breakfast. The faster we can get out the door the better! It's super quick and easy to pour a glass of milk, toast a Lender's bagel, and open up a Delmonte Fruit & Veggie Fusions cup. We chill the fruit cup the night before which works out perfect to have everything in the fridge together ready to go. 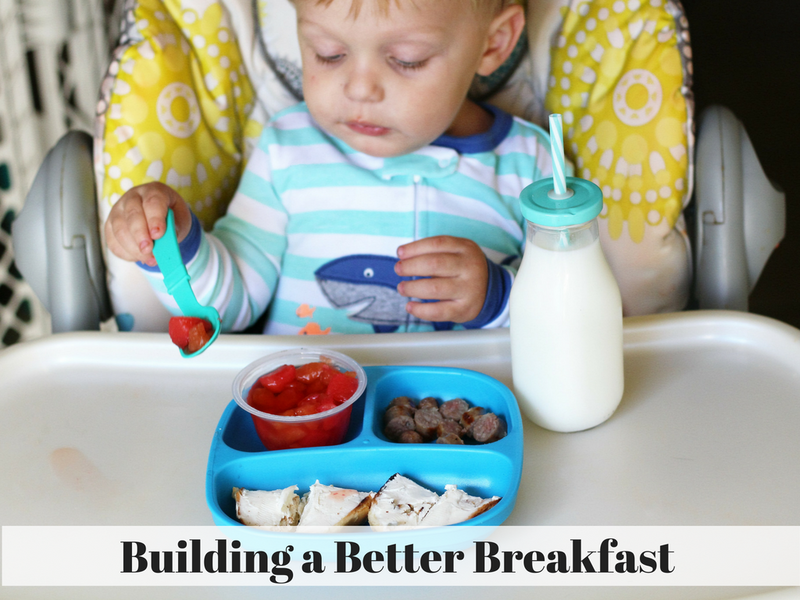 Little man LOVES bagels with cream cheese so this breakfast is a winner in his book. 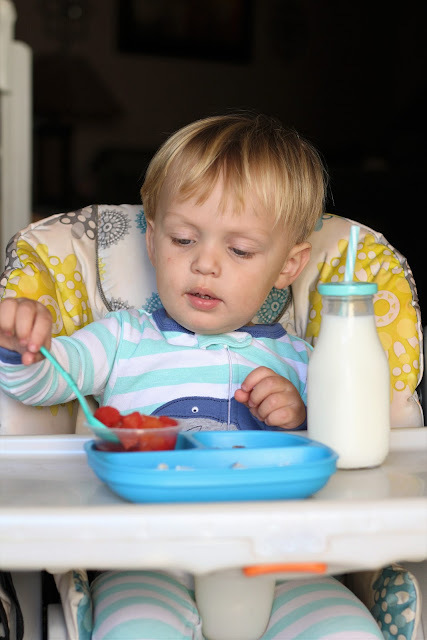 It's a winner in mine too because it's packed with protein, carbohydrates, and vitamin C. Del Monte Fruit & Veggie Fusions is the only fruit cup product that provides 1 serving of fruits and veggies in a single cup. We love the Apple Pear Watermelon flavor best but they also carry Peach Mango, Cherry Trio, and Peach Strawberry. Wondering where the veggies are? Their motto is: The veg is in the juice but you’d never know it! The juice is lightly sweetened and tastes best when you chill it the night before. You can find specially marked Del Monte Fruit & Veggie Fusions packages on shelf at Walmart, with valuable coupons for Del Monte and Lenders products. 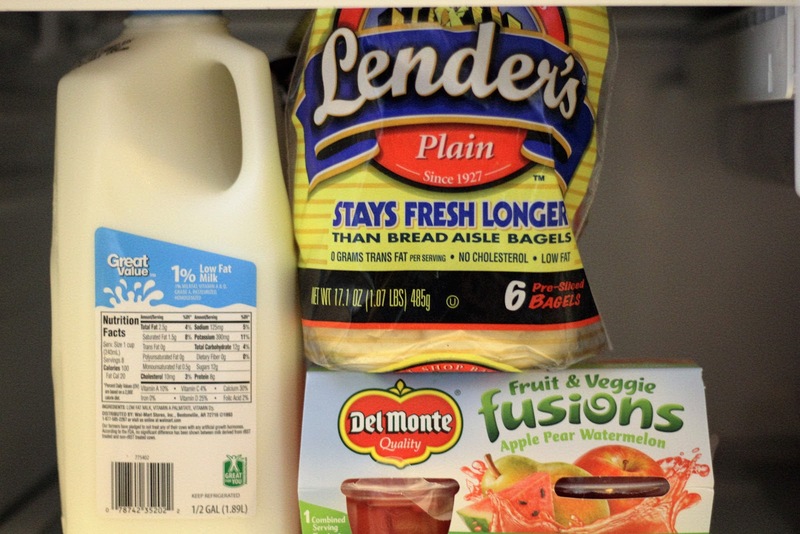 Lender's bagels are found in the refrigerated dairy section and they have a flavor for everyone. Jacob likes the plain variety, but I love their cinnamon raisin bagels. 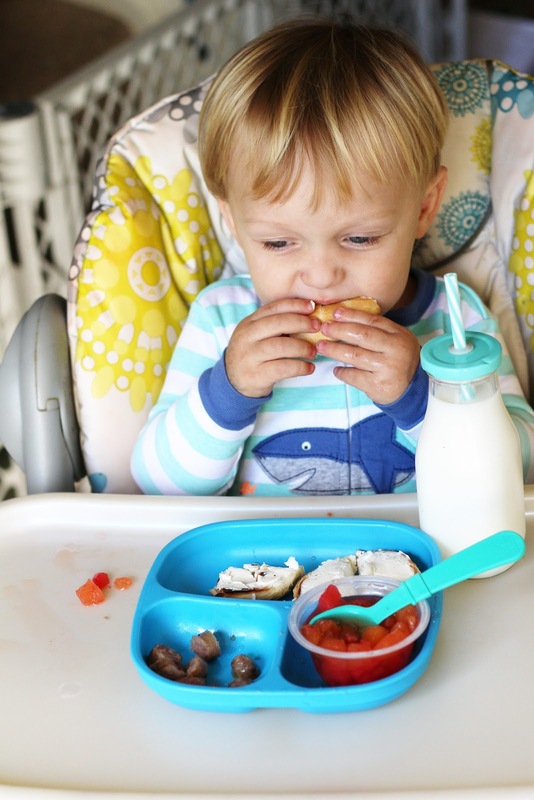 You can mix and match the bagel flavors with the Fruit & Veggie fusion cups for a breakfast that keeps everyone happy! Childhood should be filled with playing, learning and growing. But for many children who face hunger, even basic staples like milk – and the nutrients that help power childhood activities – are missing. 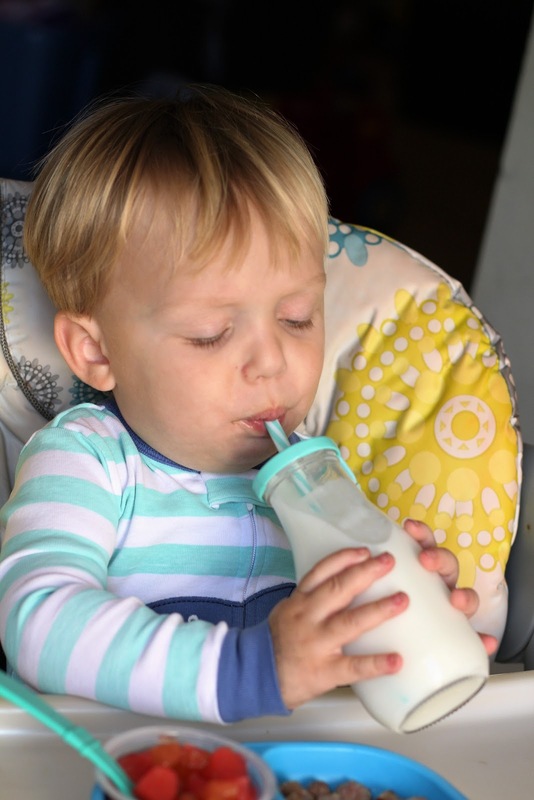 We're joining Feeding America in The Great American Milk Drive to help deliver highly desired and nutrient-rich gallons of milk to hungry children and families (more than 46 million Americans – including 12 million children!) who need it most. More than 14 million servings of milk have been delivered to food banks through this first-of-its-kind initiative. 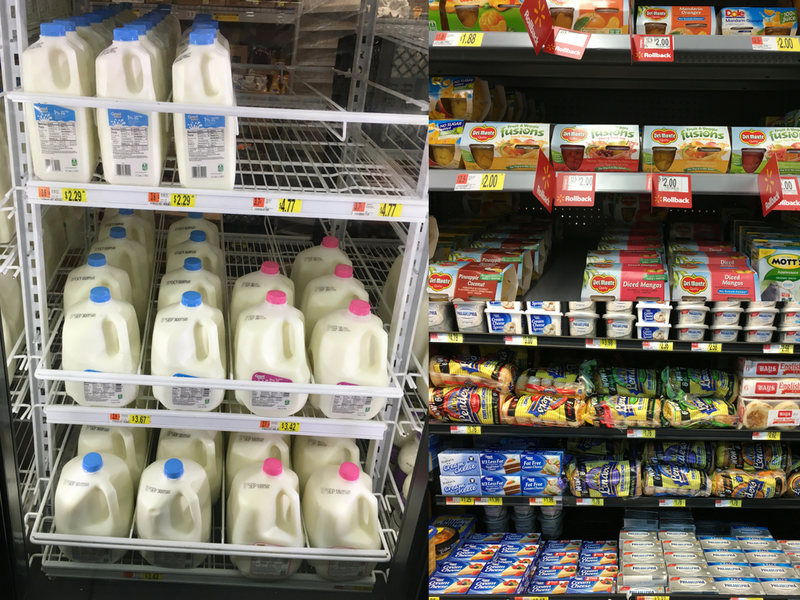 Milk is one of the most requested, but least donated items at food banks, meaning children in need are missing out on the essential nutrients, including high-quality protein, it supplies. 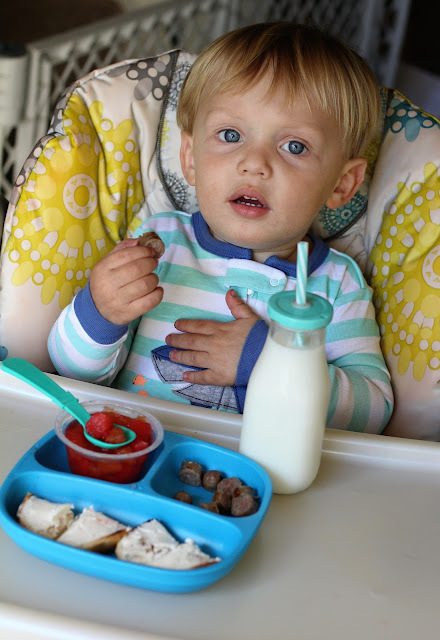 Now, you can help feed a childhood – by purchasing 1 or more of the following products, you are helping Feeding America provide nutrient- rich milk to kids and families in need: Delmonte Fruit & Veggie Fusions, Lender's Bagels, and Great Value milk. When you purchase at Walmart between 8/29-9/30, a donation will be made to the Great American Milk Drive to provide milk to local families in need. Now that's a breakfast we can all feel good about! What are your go-to morning tips?